This is a loose continuation of my How’d They Do That? series about our Christmas Production. But rather than focus on an element specifically for the production, I’m going to talk about a technique I first tried during the production and plan on continuing to use. Specifically, mixing FOH while wearing my IEMs (Ultimate Ears UE 7s) rather than listening to the speakers. At first, this may sound crazy, but stick with me. Dave Rat has been a proponent of this technique for some time and he’s a guy that knows a thing or two about mixing. UPDATE: Dave does do some work with headphones but does not utilize this technique the way I describe here. Just wanted to be clear. END UPDATE. I had heard about the concept some time ago, but it never really made sense to me. After all, it we’re mixing live, it makes sense that we need to hear the live room. It wasn’t until Kevin Sanchez was down at Coast Hills a few weeks ago mixing with his IEMs that I gave the technique any credit. He mixed the entire rehearsal on his ears, and I didn’t even notice. In fact, if anything I noticed it sounded better than usual. When I went up to the tech booth for the service, I saw what he was doing. Again, I was skeptical, but kept an open mind. The service sounded great. I was intrigued. So when we got to the Christmas production, I thought it would be a good time to try it out. Part of my process involved multi-tracking the rehearsals, then playing back the tracks and refining the mix with my IEMs. I was surprised (pleasantly) when after spending a few passes of the song tweaking, I pulled my IEMs out, the mix in the house sounded great. After that trial run, I mixed the dress rehearsal on ears. Well, technically, I mixed the music on ears. There were significant blocks of dialog that I mixed to the house PA. 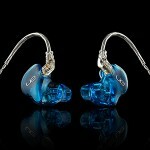 But each time the band fired up, I put my UE 7s back in and mixed away. When I asked people how it sounded, the answer was always the same, “Great!” I went on to mix the musical portions of all 5 shows with my IEMs and I was again surprised that I’ve never received so many compliments on the mix, even from people who are really critical listeners. As I pondered the results of this little test, I’ve come to a few conclusions. First, and this was borne out every time I mixed with the IEMs in, mixing with ears gives me much more information to work with. All the details of the mix are immediately present and it’s very easy to hear things like spectral balance, panning and EQ. I was able to quickly discern subtle changes in the gate and comp settings for the drums, and get the vocals to band ratio spot on easily. Second, the cleaner we can hear the output of the board, the better the sound coming out of the speakers. In live sound, there are all kinds of reflections, delays, and other acoustical anomalies that happen in any live space. All that “noise” masks what’s really going on in the mix, making it tough to pull together a good one. Removing one’s self from the acoustical environment enables us to hear clearly and put together a really good mix. In our room in particular, we have all kinds off issues with those gremlins. Our FOH position is in a different zip code than where everyone else sits. In theory at least, if I get a great mix to the speakers, the result will sound better for the audience. Third, I realized I suffered less ear fatigue and temporary threshold shift even after mixing 4 shows over two days than I normally do. 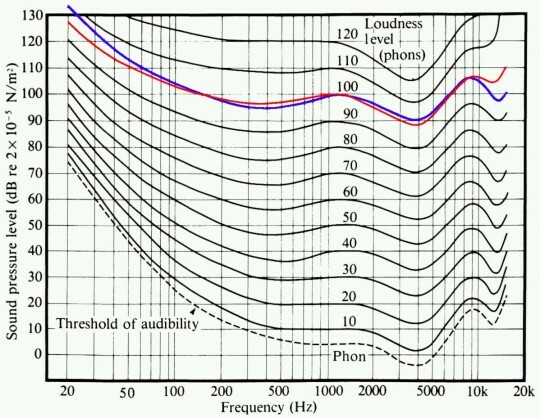 Temporary threshold shift is a phenomenon that occurs when we are exposed to high SPL for extended periods of time. Our ears compensate by “turning down the gain,” which makes us turn up the volume to achieve the same felt level. By mixing with IEMs, I actually kept my exposure level lower than the room. It’s hard to measure, but I’ve been doing this long enough to have a good idea; whereas the room may have been in the mid to high 90’s during the big musical numbers, I was below 90 in my ears. That 5-10 dB over a few hours makes a difference. This technique does not come without caveats, however. First, you have to pull the ears out once in a while to make sure what you’re doing is actually working. I did this a lot during the first two shows, and less as we went on. Because it was the same show, I became more confident that what I was doing was working. Still, I checked often, and kept an eye on the real-time SPL meter and log at FOH to make sure I was over-driving the system. Using snapshots helps a lot, because it sets up a baseline mix and keeps levels consistent. 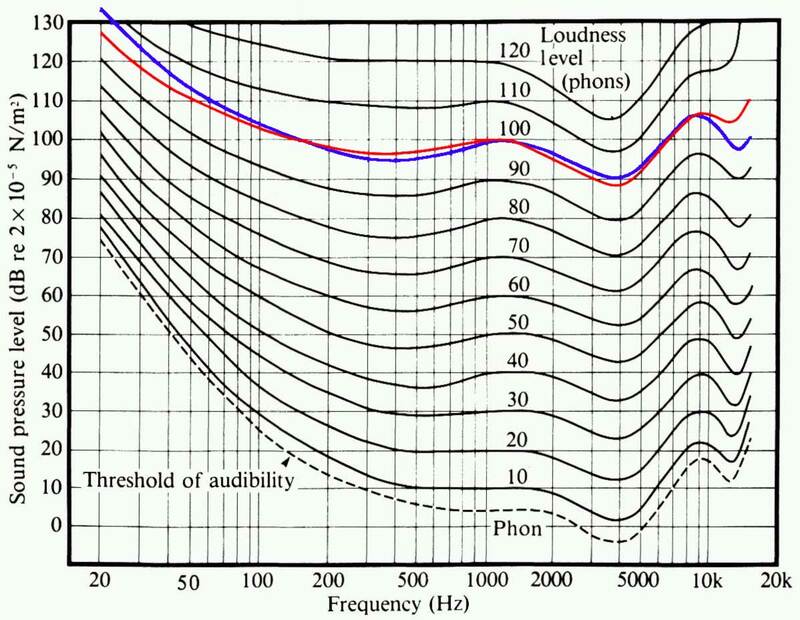 Overlaying the 80 dB curve (blue) on the 100 dB curve (red)Second, because of the equal loudness contours, you have to adjust for different SPL levels. If the house is running at say, 95 dB SPL A, and you're mixing with IEMS at roughly 85 dB SPL, that 10 dB difference will alter how we adjust tonality. I'm currently exploring ways to compensate for this on the board (perhaps by setting up a dedicated "solo" bus that I can listen to that includes some EQ to compensate for the difference in volume. I'll let you know what I discover. Third, if you are using a ton of EQ on the outputs of the board to correct room anomalies, you have to adjust for that. We’ve been able to back off of the EQ on the desk, but we still have too much. I need to clean some of that up in the processing next year. Also, it’s important to compensate for loud acoustical instruments like cymbals. If I turned the cymbals up in my ears to where I really wanted them, they would be tearing people’s heads off in the house because the live cymbals were already almost loud enough. Again, it’s important to pull out the ears and double check once in a while. Finally, it’s good to have someone else there to listen to the mix and make sure it doesn’t get out of control. My ATD Isaiah was right next to me the entire night and I knew if I started getting too loud or running off the rails, he would nudge me and I could fix it. I don’t yet know if I can categorically recommend this technique as something you have to try just yet; however, I do know I’ve been pleased with the results in my room, with my PA and my desk with my band. Your mileage may vary. But it may be worth a shot... Happy mixing!